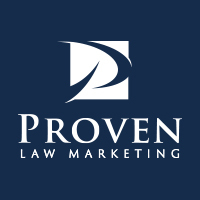 Creating a logo for your law firm should be a fun experience because it’s a positive step toward enhancing the way your practice is viewed by the public. It is also an area ripe for mistakes. Below are several considerations and tips for creating your perfect branding tool. First, logos are important. While your law firm logo will never achieve the recognition of the Starbuck’s siren or McDonald’s golden arches, it is a very easy and inexpensive way to accomplish a number of goals. It shows you care about the business. Every time you improve the appearance of your practice, it shows prospective clients you take pride in your work. People will rarely hire a person or important personal affairs who they don’t believe care about their own. Include more than just the firm name. In other words, always have a graphic or symbol along with the member names. This is important for two reasons. First, it’s nearly impossible to get people to remember a name, but they will remember and identify with symbols. Second, from a practical standpoint, there are times when you can’t use the entire firm name. For example, social media profiles usually give you a small square or circle for a profile photo, and then show your business name in a larger image. If your logo only consists of a five-person firm name, you don’t have much to put in that area designed for small images. Be careful of gradients. Gradients are when you have fading or shading in your design. These often look great electronically, but you can’t reproduce them on apparel and other giveaway items. If you choose a gradient for your main design, be sure you also like the non-gradient version. Create different versions. Choose a design that will accommodate the graphic on the left or above the firm name. This will allow you the flexibility to fit the logo into both horizontal and vertical spaces. Don’t overpay. A good logo shouldn’t cost more than $450. Store them online. Store the files online so you can simply send a link as needed along with a .jpg of the version you want used. Creation time. It shouldn’t take any more than 10 days for the entire process. Number of designs to evaluate. You should see at least 10 designs initially, maybe more depending on how much feedback you provided the designer at the project start. Narrow it down to 5, then 2, and then choose the final one. Asking for opinions. Don’t ask for non-decision maker opinions until you’ve determined the final two options. It doesn’t help to have 10 people like 7 different versions. The right expectation. Recognize going in that no two people will agree on the best version. Because of this, only have critical decision-makers involved in the process. Strive for a logo that the most important person really likes… and everyone else can live with. Good luck on your law firm logo!